Thank you for visiting the Lotto Bonus ball number Results Page where you purchase a $5 bonus lucky number ticket. Draws determined on the NZ Lotto Bonus number results - Winners will be notified by phone or any other method acceptable, or winner can call the Club directly if they have won. 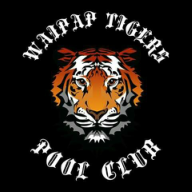 If you would like to purchase tickets for the next up and coming bonus number draws please contact Waipap Tigers.